Will the US and China sign a trade deal by the end of March? 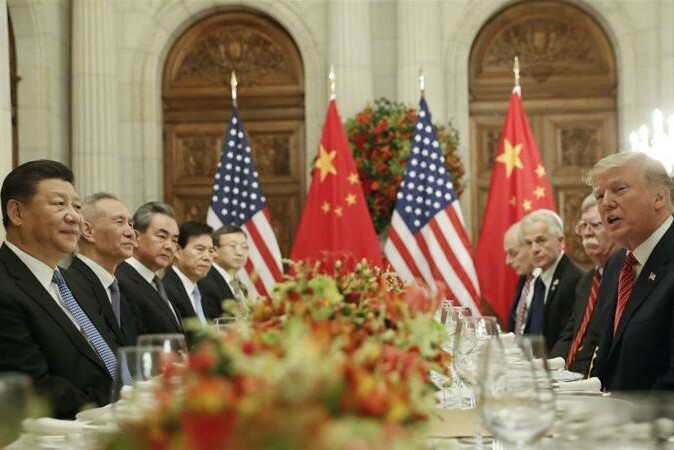 The Wall Street Journal reported on Sunday that there was a high possibility of the US and China presidents sealing a formal trade deal later this month that could put an end to an 8-month trade war between the world's two largest economies. According to the Journal the United States and China appear close to a deal that would roll back US tariffs on nearly $200bn worth Chinese goods while China would revoke its tariffs on $110bn worth American goods. The actions have roiled financial markets, disrupted manufacturing supply chains, and reduced US farm exports. Trump administration officials have said they expect the two presidents to "close" a deal at a summit in coming weeks at Trump's Mar-a-Lago estate in Florida sometime around March 27. The long-anticipated deal that would scrap heavy tariff burdens from both rival parties is expected to significantly ease the political and economic strain on the respective economies and the world trade.